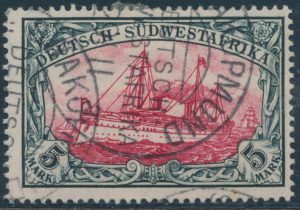 Lot 1026 German South West Africa #13-25 1900 Kaiser’s Yacht Set, all used with nice cancels, fine to very fine. 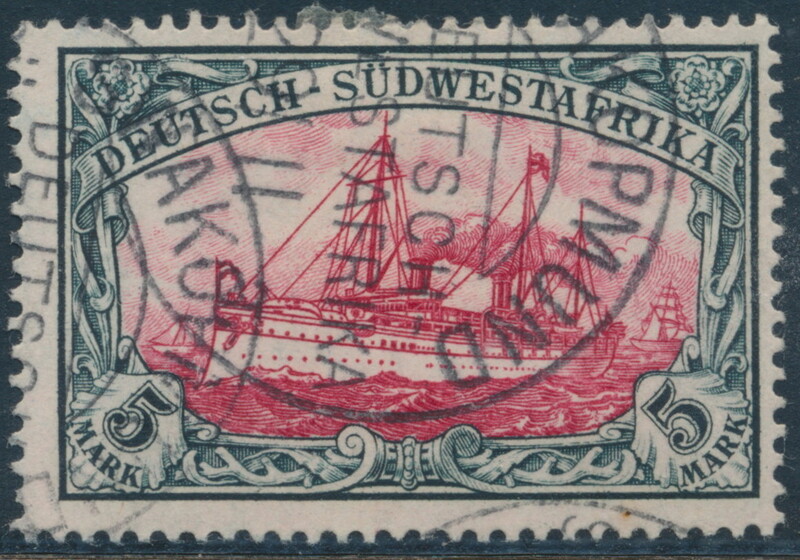 A great lot for the ship topicalist. Ex-Jack Gray Collection. Scott CV U$305, sold for C$230.00 plus 15% buyer’s premium.